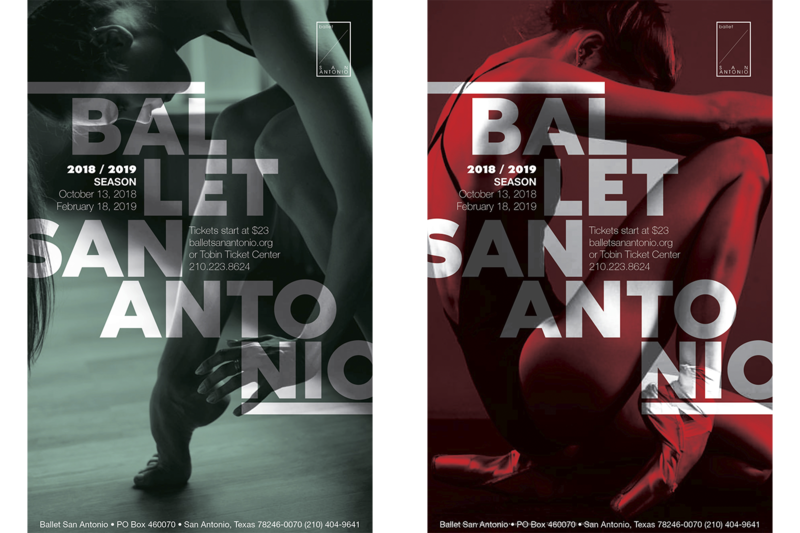 A new look for the city's dance company. Creating a brand with universal appeal.  Ballet San Antonio has an uncompromising commitment to continually attract and nurture exceptional professional dancers, create distinctive performances, and make dance accessible to the widest possible audiences. As an established company, they wanted an entirely new look and feel that would reinvigorate participation among their patrons while helping increase their recognition throughout the state and the region. 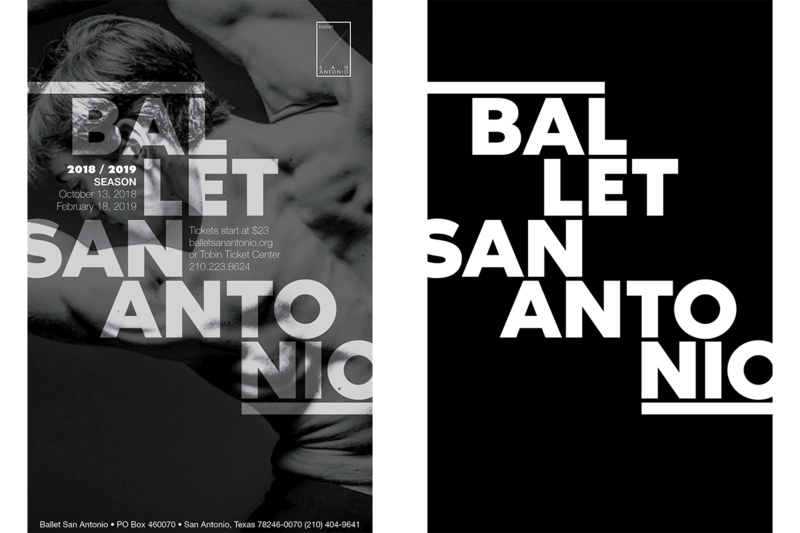 As Ballet San Antonio continued to grow, it became increasingly evident that the organization needed a communications overhaul. 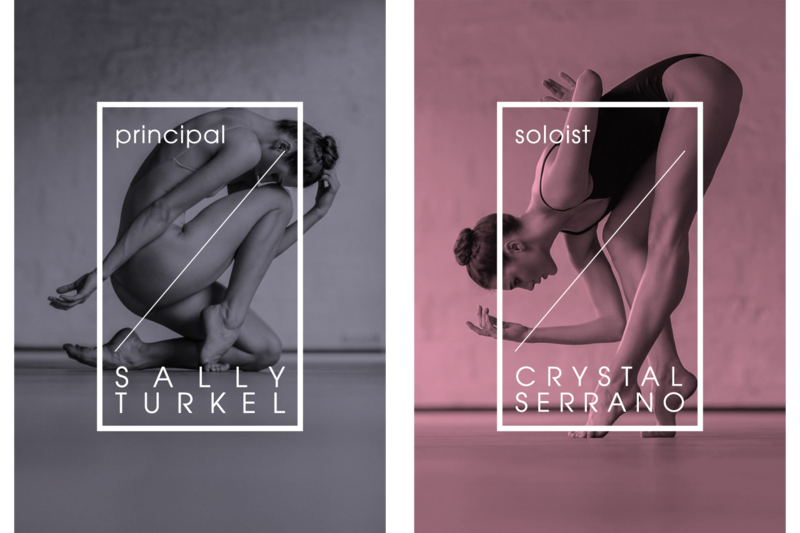 Our branding solution helps position the ballet as a worldclass arts organization with engaging visuals and messaging that speaks to current patrons while also attracting new ones. We provided a complete communications solution that represents a top-to-bottom visual overhaul that includes a new logo, identity system, brand standards, web design, photography, and brand voice. This communications solution represents a ground-up visual vocabulary vocabulary that included a logo, identity system, brand standards, web design, messaging, photography, and overall brand voice.